Five sheep have been killed after pet dogs, which were not on a lead, chased a flock over a cliff edge. 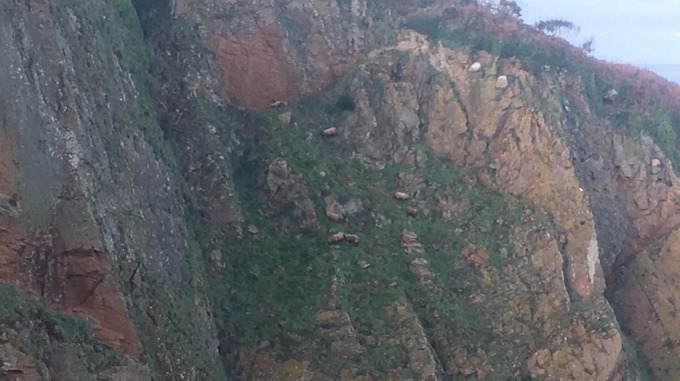 The rare flock of Manx sheep were chased over the cliffs overlooking Greve De Lecq Bay on Sunday afternoon. Jersey Fire and Rescue were called to rescue the remaining sheep. The fire crews used rope rescue equipment to move the animals to an area where they could be rescued. However, due to failing light and challenging terrain, only two could be rescued on Sunday whilst three Manx sheep fell to their deaths. Six more were winched to safety the next day but another two fell and died. 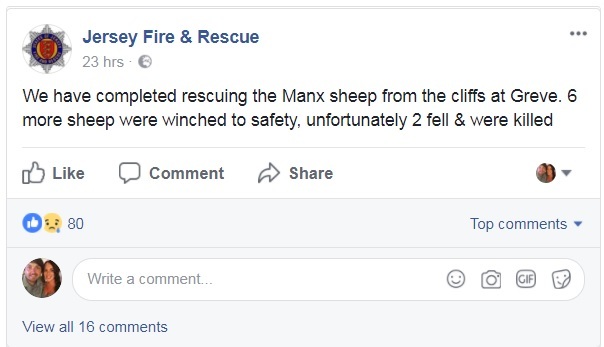 A Jersey Fire and Rescue spokesman said: "Upon arrival it came to light the sheep had been chased over the cliff edge by pet dogs. "Although the dogs were believed to be with their owner, they were not on leads and couldn’t be brought under control before they had managed to chase the sheep. "The attending fire crews used rope rescue equipment to gain access to the trapped sheep. 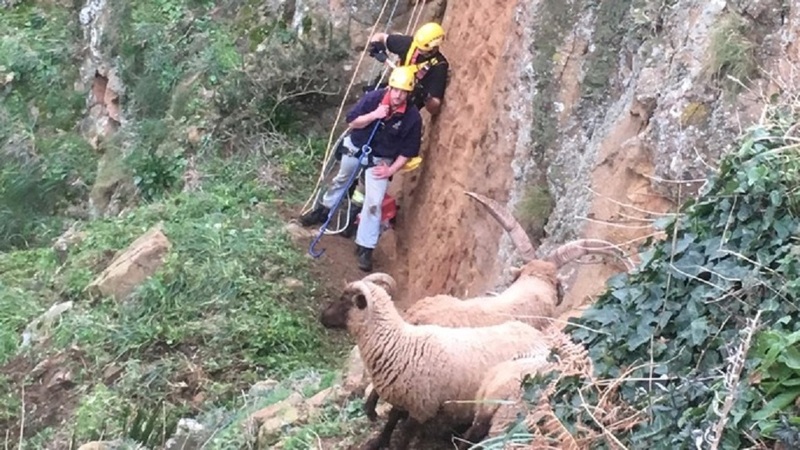 The sheep were clearly distressed by their ordeal and the fire crews had to corral the animals to a point along a rocky ledge, where they could be rescued." 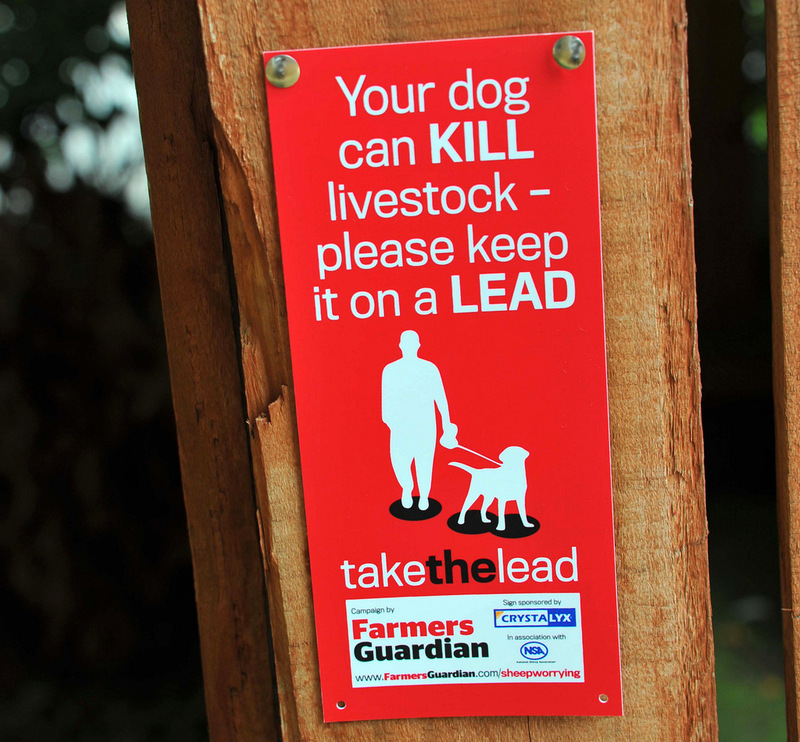 Watch Commander Paul McGrath said: “Jersey Fire and Rescue would like to urge dog owners to keep their pets under control and on a lead when walking near to livestock.